Can Your Dentist Help to Relieve Your Headaches? 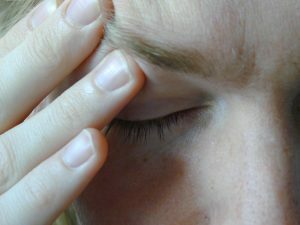 It is not rare for people to suffer from headaches. Everyone experiences some form of them; whether it be a sharp pain or dull, last for hours or just a few minutes, everyone has been affected. Every day, the medical world discovers a little more about headaches, what causes them, and what treatment options work the best. In some cases, someone may require the help of many health professionals to treat their headaches, including: a physician, a physical therapist, a dentist, and a psychologist. Unfortunately, there are a lot of people who seek help for their headaches and do not see any change. If this has happened to you, or someone you know, you may want to consult your dentist. Often, dentists are trained to treat jaw troubles and headaches. Due to this, if your headaches have not been able to be treated by a medical doctor, and all medical complications have been dismissed, we recommend visiting your dentist. If your dentist does not treat headaches, they may be able to refer you to someone who can. How can a dentist help you? Many headaches are a result of spasms in your jaw and neck muscles. Due to this, your dentist may be able to prescribe a “night guard” or bite splint that can provide you with some comfort. These splints are acrylic platforms that will offer your jaw a place to rest and keep your jaw from contracting. A big thing that these splints or guards protect against is teeth grinding. It has been found that roughly 80% of people suffer from bruxism (frequent teeth grinding) and develop “tension headaches” due to it. If you are suffering from headaches, have a discussion with your physician and dentist; chances are you can find some relief. If you are in the Sidney, OH area and would like to consult Dr. Van Treese about your headaches or any other dental health issues, feel free to contact us today.